Chelsea currently have a battle on their hands which is to keep Callum Hudson-Odoi at the club. 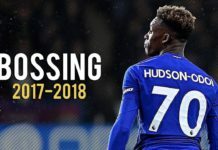 Hudson-Odoi has come up through the ranks at Chelsea and his current deal with the Blues expires in 2020 but the club are desperately trying to make him pen down a new deal. Recent reports suggest that Hudson-Odoi has rejected a new contract with the London outfit amidst strong interest from Bundesliga giants Bayern Munich. The Bavarians have made multiple bids for the youngster but the Blues have so far rejected each and every one of their offer. And now rumours have it that Bayern aren’t the only club who are interested in signing Hudson-Odoi. Sport Bild claims that the player and his brother met with Liverpool representatives earlier this month and had talks over a possible transfer. While the Liverpool fans will be really happy that their club have chosen to move for the talented youngster, but this interest could eventually end up helping Bayern Munich. While Chelsea do not want to let the player leave Stamford Bridge but if at all they have to let him go then a direct rival will most certainly be the last option on their list. If Liverpool’s interest in Hudson-Odoi is at all serious then Chelsea would happily sell him off to Bayern Munich. Hudson though has only one demand which is to see more game-time for the Blues. While Sarri has handed starts to Callum Hudson-Odoi but most of them have come in cup competitions. But is the Premier League that the youngster is really eyeing and if the situation does not change during the second half of the season then Callum Hudson-Odoi will surely look for a new club in the summer. 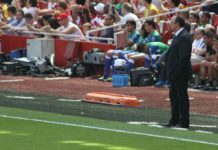 Read: Is ‘this’ why Chelsea played so poorly against Arsenal in the Premier League? Next articleWest Ham United eyeing a move for ‘this’ Chelsea man: A superb bargain buy?